throughout the (intangible) assets respective value, materiality, and functionality life cycle. When introducing a new business concept, such as, ‘circular economy’…leadership teams exhibiting interest, will be obliged to recognize the obvious and potential obstacles to execution. One obstacle being, of course, converting the new concepts’ principles to (a.) practicality, (b.) functionality, and (c.) return-on-investment. actually applying ‘circularity’ to each facet of a company in terms of product (tangible-physical asset) development, acquisition, production, renovation, and destruction. globally universal economic fact that 80+% of most company’s value, sources of revenue, competitiveness, reputation, and sustainability lie in – derive directly from intangible assets. Interestingly, the EU (European Union) is characterized as being in the transformational midst of a ‘circular economy’…influenced by multiple initiatives, one being what is referred to as ‘Cradle to Cradle’. Cradle to Cradle represents a cross-sectoral socio-economic system…absent conventional lineally-based economic principles. Instead, a ‘circular economy’ relies on concepts-principles whose primary purpose is to wholly correct what are characterized as the ‘unfixable errors embedded in linear (economic) systems’. the use of renewable energy and effective water management. genuinely understanding, conceptually and practically, what sustainability is, its near term relevance, and accompanying mindsets and actions necessary to achieve (sustainability) across industry sectors and environments. thinking, acting, and executing in contexts of systems and feedback loops between, the resources and methodologies necessary for producing a specific product reflect durable sustainability. technical materials used within a particular environment. ensuring product design methodologies and resources are thoroughly embedded with (wholly) renewable, recyclable, and/or repurposed components. As reported in…its ‘Care To Share’ blog, Royal Haskoning DHV (an independent international engineering and project management consultancy, headquartered in Amersfoort, Netherlands) rightfully gives credit to The Ellen MacArthur Foundation (UK) for bringing the ‘circular economy’ concept to the forefront and projecting it globally, through among other venues, their 2012 report titled ‘Towards the Circular Economy’. Posts in Royal Haskoning DHV’s blog, note the ‘circular economy’ has, at least, some of its roots in earlier sustainability concepts and schools of thought, which include, Industrial Ecology (1989), Biomimicry (1997) and Cradle to Cradle (2002). Each variously include the idea of nature serving as a model to address environmental pollution and continuous growth of consumption. rising percentages of most businesses-companies value, sources of revenue, competitiveness, and wealth creation potential lie in – derive directly the ‘circularity’ applied to the development, utilization, exploitation, safeguarding, and restoration of intangible, as well as, tangible assets. I genuinely believe there is much enlightened merit embedded in the principles of a ‘circular economy’…be assured however, those principles are not merely millenialized verses for expressing the importance of, and necessity for, businesses to engage in advanced (material, resource) recycling initiatives. Yes, I have little doubt that executing the principles of ‘circularity’ can move companies – businesses away from…the ‘circularity’ of wasteful application-use of resources to more sustainable (reusable) products and materials, because doing so, paves the way for maintaining product-brand value. An important reality embedded in a ‘circular economy’ is that…success is wholly dependent on (requires) cross-sector – cross-value chain collaboration. But, this is the circular economy’s single greatest challenge…which, at minimum, will require not merely verbal commitments, rather some type of mandate to commence execution. For these reasons, I have elected to miniaturize the principles and application of a ‘circular economy’ to…apply to a company’s intangible assets, independently. 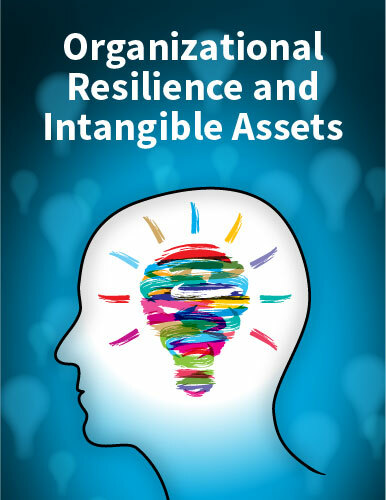 in other words, it’s certainly practical and lucrative for company leadership to recognize how their various intangible assets function internally, in a circular fashion. Russian companies; creating value through intangible assets!